These vegan cordial cherries are truly one of a kind! Dark Belgian dairy-free chocolate surrounds tender cherries to make a vegan treat that’s ideal for sharing with the one you love (or eating all by yourself!) 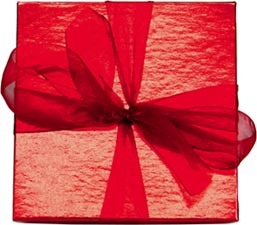 Exquisite red foil box contains 9 chocolates. $11.99 each. Ingredients: Sugar, cocoa mass, cocoa butter, corn syrup, cherries, natural vegan flavors, soy lecithin. From Lori Beth of Fort Myers, Florida on 2/14/2017 . Chocolate cordial cherries have always been my favorite. As a vegan, I haven't had them in years. These were wonderful! The flavor is incredibly rich and decadent. Reminiscent of very high-end cordials. I've had a lot of vegan truffles/chocolates and they've been just OK. These are excellent! I would purchase them year round if available. Don't hesitate!